A delicious blend of sweet and sour; this is one of our best selling wines. 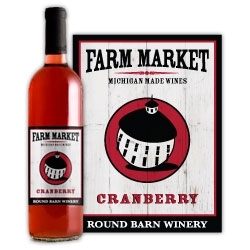 A perfect choice for the holiday season and the only civilized way to have your cranberries! Crafted locally in Baroda, Michigan!